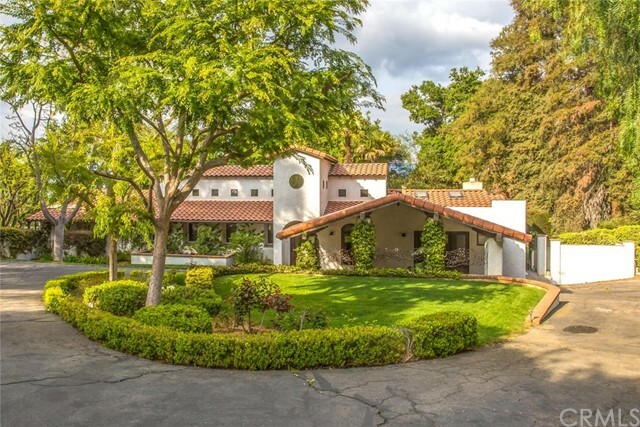 All Redlands homes currently listed for sale in Redlands as of 04/18/2019 are shown below. You can change the search criteria at any time by pressing the 'Change Search' button below. If you have any questions or you would like more information about any Redlands homes for sale or other Redlands real estate, please contact us and one of our knowledgeable Redlands REALTORS® would be pleased to assist you. "Practically torn from the pages of Architectural Digest, this stunning custom home is everything you've ever wanted from a 5-star resort and park combined. Blending the best of both worlds, you'll experience both lavish sophistication and cozy comfort here on one of the most coveted lots in Redlands. From the moment you enter the rotund entry,with unique skylights and wide picture windows. From the floor to the ceiling this home feels special, featuring hand-laid tile and custom fixtures is only the beginning. Oversized, spacious bedrooms complimented by comfy guest quarters and upgraded bathrooms make this home as popular with its guests as it does with the owners. The perks of this home are similar to those that you'd find at a luxury resort. Head down the custom wrought iron spiral staircase to find a large private wine cellar and tasting room. You'll also find a massive specially designed craft room with built- ins for all your crafting needs. Continue exploring this home to discover a state of the art in-home theater! Just when you think you've seen it all, head over to the indoor bowling alley with 2 custom full-size lanes, tables, scoreboards, and of course it's also sound proofed! 5 covered parking garages, 920 sf RV garage, sports court, pool, covered outdoor kitchen with fireplace and generous seating area, shaded arbor , and full separate guest house, all on the twelfth green and 13th tee of the Country Club. This home sits on site of the original club house." "This gorgeous estate was named after the wissahickon creek in Philadelphia, this 'inn' was built by Gordon Donald in 1904. people would come from miles away to eat fresh catfish and homemade waffles , they came from the east by train then caught the street car up Center street. Mrs. Johnson and her two sons, easterners would come for the peace and quiet and winter sunshine. Richard Campbell, born in Redlands in 1914, remembered driving Eleanor Roosevelt around town when she came to stay at the inn. much of the same prevails today, as the home as been lovingly restored, taking seven years of hand craftsmanship to do so. the structure has been totally retrofitted, taken down to the studs, all copper plumbing, 2x6 construction. kitchen has copper detail done by medicott as well as the stained glass in the ball room. cad 5 and cable throughout, phone system is voip. the home is plumbed for an elevator from the basement to the second floor. all windows were hand made on site, interior doors solid core, every wall insulated with r 38, 5/8 drywall. The massage room has a sauna, and an area designed for a shampoo station.Master Bdrm has separate 4 ton a/c, kitchen and living room 5 ton, 3rd floor has 5 ton 3 ton booster, ball room has 4 ton unit guest house has 5 ton a/c.."
"FIRST TIME ON THE MARKET SINCE 1922. 8.8 ACRES OF THE BEST PRODUCING ORANGE GROVES IN THE REDLANDS AREA. APPROX. 675 WASHINGTON NAVEL ORANGE TREES. THERE ARE TWO GLORIOUS HISTORICAL HOMES BOTH BUILT IN THE 1890'S BY THOMAS ENGLAND WHO CREATED PROSPECT PARK AND THE BEAUTIFUL GROVES BELOW IT. THE SMALLER HOME WAS USED TO FILM HOW TO MAKE AN AMERICAN QUILT. 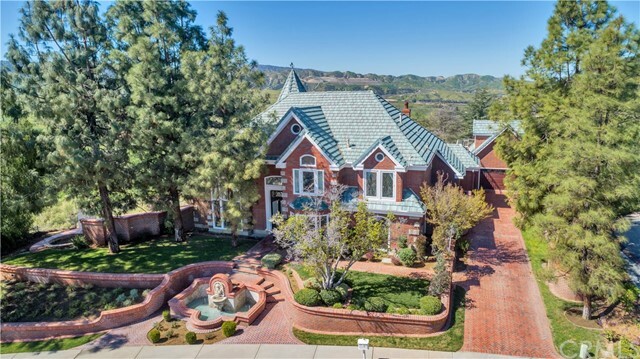 THE LARGER HOME, THE CARRIAGE HOUSE AND BARN WERE FEATURED IN ORANGE SUNRISE A FILM BY THE RIVERSIDE COUNTY DEPARTMENT OF HEALTH AND THE INLAND EMPIRE ORANGE CONSERVANCY. THERE IS A GARAGE AND OTHER OUT BUILDINGS. THE PROPERTY REMAINS PRETTY MUCH UNCHANGED. THE GROVE IS IN EXCELLENT CONDITION, HEALTHY AND PRODUCTIVE. THERE ARE 7 WATER SHARES THAT FULLY IRRIGATE THE GROVE. THE ZONING IS RS (10,000 SQ. FT. PER HOME) TREMENDOUS POSSIBILITIES." "Hidden behind magnificent grounds and exquisite French artifacts, this estate has both intriguing and fascinating architectural features who's equal may only be found in the South of France. The landscape is beautiful beyond imagination. A citrus grove scents the air while French style manicured landscapes provide a sheltered retreat on more than two acres. A private drive leads to a generous motor court where one is greeted by the sounds of one of the two fountains found on property. Designed and crafted in 2003 using exacting specifications of a 17th century bastide, one feels transported ascending the limestone stairs, crossing the stone terrace, approaching the solid French walnut hand crafted doors to Provence. Every detail was passionately attended to in the creation of this solid stone home from the many imported features such as; hand carved walnut wood features through-out, the stone floors, the authentic antique mantle pieces, the chef's kitchen fitted with the piece de resistance, a La Cornue French range, hand painted tiles, and windows. The list of handcrafted features made by French artisans is seemingly endless. This timeless masterpiece also features; twelve foot ceilings, no concrete on property (all is limestone imported from seven different French quarries), a library, a barrel ceiling intimate dining room, Master w/retreat, dressing room, and Master Bathroom complete with solid Cararra Marble soaking tub. The South of France in Redlands in calling." "Make memories that will last a lifetime in this Mediterranean estate that offers Resort living at its best, located in the prestigious gated community of Smiley Ridge .You will be mesmerized by incredible panoramic views.The beautiful entry features onyx & marble flooring,crown moldings and a water feature. Family room has a fireplace (1 of 3 that are in the home),entertainment center,French doors,beam ceilings and overlooks the beautiful patio & pool. Kitchen is a chef s dream! Granite counters, subzero refrigerator,stainless steel appliances, a butler s pantry. A lovely breakfast room and formal dining room for you to enjoy. 4 spacious bedrooms are on the lower level,with their own beautiful bathroom. 2 of the bedrooms have a loft. Master suite is beautiful with a bathroom that is so elegant. An indoor therapeutic spa, sauna are a step away. Step up to the second floor and it is a self-contained area with bedroom, 1.5 baths, kitchenette, living room and eating area.Entertaining is a dream with the outside kitchen,pizza oven, fire pits, tennis court, fountains,a gazebo that boasts breathtaking views.When evening comes and you turn the lights on WOW! 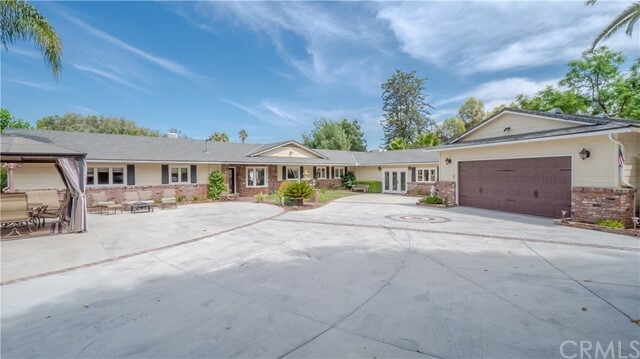 Private gated entrance,3 car garage plus additional court parking,solar heating, and a generator, you will never be without electricity.Turnkey and ready for you to move in and start enjoying one of the most beautiful homes in Redlands." 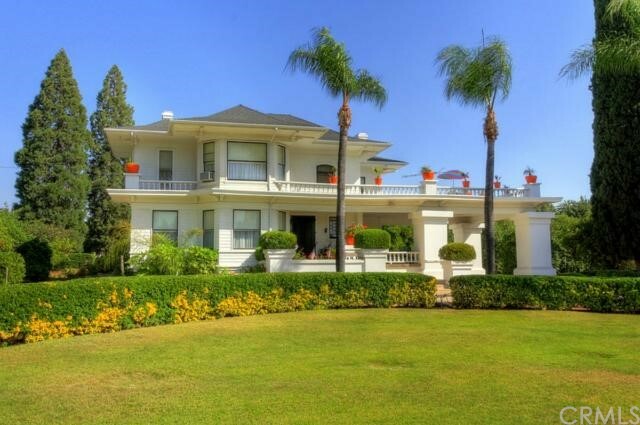 "One of Redlands' trophy homes. Built in 1957 for the owner's trophies, film collection and spectacular entertaining! It has a wonderful mid-century ambiance. Subsequent owners have updated kitchen and baths to meet 21st century lifestyles. The kitchen has Caesar Stone counters and stainless steel appliances. Large living room surrounds a 2 sided fireplace. There is a formal dining room, a TV room and a charming sitting area in the bedroom wing. The spacious rear yard has a large oval pool with an attached circular wading pool. There is a tree house with electricity. The 2 car garage has both 110 and 220 volt outlets and 3 phase power. Presently there are 5 bedrooms, 5 baths plus 3 half baths. There is also a sauna. With all its spaciousness, it is a home with great livability for any lifestyle. It is also very private and secluded." "Stunningly beautiful estate on almost an acre that has everything you desire! History. Elegance. Old world charm with an indoor-outdoor lifestyle. 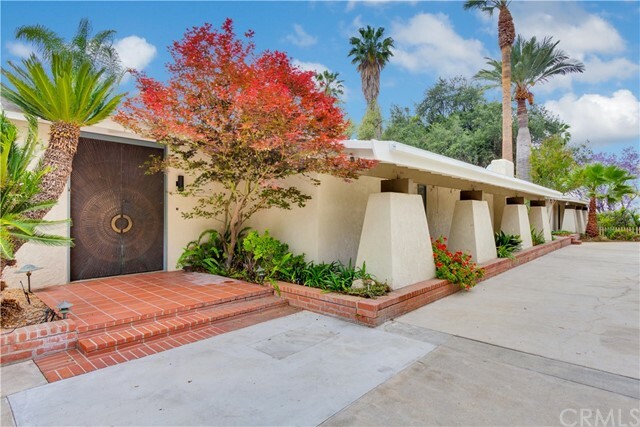 Situated on beautiful tree lined Highland Avenue amongst stately estates and orange groves sits 731 W. Highland. This gated compound offers a 4500+ square foot home plus a 900+ square foot one bedroom, one bath guest cottage, a pool and spa, and direct access 4-car garage. The home boasts four en-suite bedrooms with one very large master suite downstairs, a formal living room with wood burning fireplace, a formal dining room with built-ins and double doors opening onto the charming courtyard with fountain, a gourmet kitchen with Viking and Sub-Zero appliances, open concept family room, laundry room complete with built-in desk and sink, a powder room, and a wine cellar with built-in cabinetry. The grounds offer a beautiful pool and spa with waterfall feature, lush vegetation and a variety of fruit bearing trees and two driveways. A wonderful home to entertain friends and family and enjoy the luxury this estate offers." "Welcome to Heartland Stables! This is a working horse ranch on 2 parcels zoned for up to 100 horses with over 20 acres of usable land. It is a busy horse boarding/training facility. The main house is set up on the hill at the back of the property overlooking the Ranch and the Valley with spectacular views. It features single level living, an in ground pool & above ground spa. The open floor plan is inviting with a large master suite with it's own fireplace. On the main Parcel is a large 26 stall breezeway show barn that is 40 x 240 overall & has (20)-12 x12 and (6)-12 x24 stalls that are matted with a fly system, automatic waterers, Client patio, trainer office & tack room. Behind it are (20) mare motel stalls of two sizes- 12 x12 , and 12 x24 that are matted, 3 large arenas, 100 x 200 with Lights & low solid wall, 100' x 200' pipe arena and a 170' x 340' wooden fenced arena near the upper level. There are many other pipe corrals, 5 in/out box stalls, wash racks, hot walker, 5 round pens, tack rooms, numerous hitching posts & other facilities that are rented to individual boarders & trainers. There are four rental mobile homes on the property that generate extra income or can be used for staff. At the rear of the property is a large 4 bay shop for farm equipment & hay barn that holds a truck & trailer load of hay. THERE ARE FIVE RESIDENCES ON THIS PROPERTY!" "This Unique Mediterranean Estate Property Sits High In the Wooded Hills at the Top of Sunset Dr. .Tucked away in this Peaceful and Serene Setting, Your Family will have Total Privacy and Seclusion, yet only minutes to our Historic Bustling Downtown Shops and Restaurants....Fully remodeled by Architects Xavier Adrian and Herta Gaus in 2008 this home has Incredible Architectural and Artistic Features Thru out...Custom Wood Windows, Vaulted Beamed Ceilings, Plastered Walls, Custom Lighting, Cabinetry, Travertine/Marble/Wood Flooring Tastefully, and Lovingly installed in every inch of the entire home..... Gorgeous Iron Doors Specifically Designed for this Home..Large Island Kitchen...Custom Made Cabinetry both Stylish, and Functional. Viking built in Appliances, making any Gourmet Chef Excited....All Baths are Gorgeous and completely Functional. This Home was Tastefully Designed to be Beautiful, Yet Warm and Uncomplicated. ..The Large Private Rear Yard has Mt/Sunset View, Cascading Waterfall, , Raised Spa and Over Sized newly Plastered Swimming Pool. Walk Through this Peaceful and Serene Setting, to your garden, Guest House, Casita, or Detached Oversized Garage with Full Loft Above for Storage beyond your Wildest Dreams. ...Or a quick round of Tennis on you Private Regulation Sized Tennis Court. Recently Resurfaced. This is Truly a One of a Kind Retreat Style Property that needs a Wonderful Family to call Their Own." "Full of timeless charm and space, this open floor plan home is just waiting for a family to fill its spacious rooms. After recently undergoing upgrades, this beautiful 5-bedroom, 6-bathroom home features several grand fireplaces, walls of floor-to-ceiling windows, ample countertop space in the kitchen, and a sprawling backyard that includes both a pool and private tennis court. Beautiful details such as the grand staircase, shining chandeliers, and built-in cabinetry really bring this home to life. 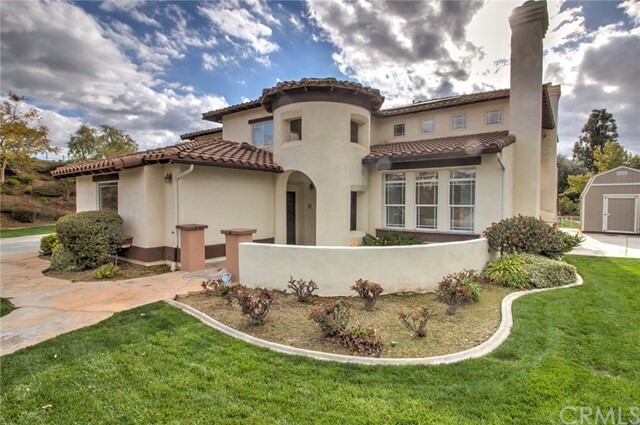 Experience the privacy and prestige of living on Smiley Heights Drive, while also being only minutes from the shopping and entertainment of downtown Redlands." "Rarely does an opportunity like this come along. 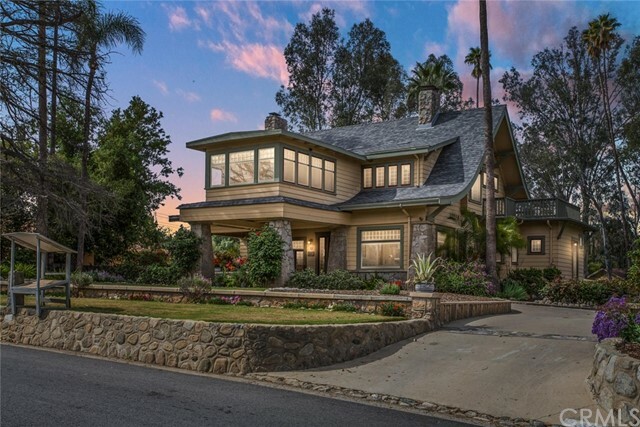 This stunning Tudor on one of the most sought after streets in Redlands offers over 6500sq feet of luxury and grandeur. 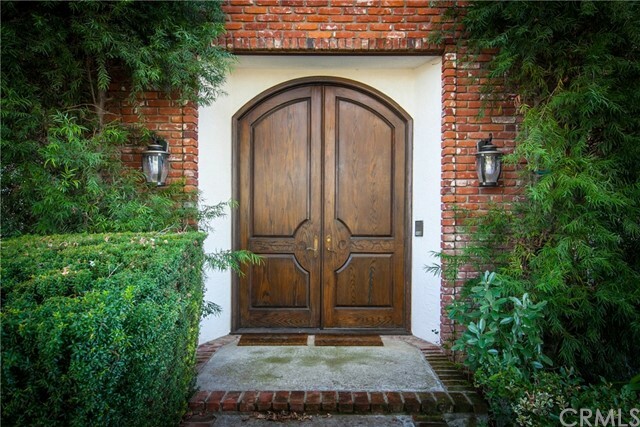 Enter through the magnificent double door entry and immediately be greeted by 1 of 2 grand staircases, gorgeous dining room with sparkling crystal chandelier and the impressive formal living room with 1 of 3 wood burning fireplaces. Walk down the hall on the beautiful Brazilian teak wood floors accented by real wood crown moldings found throughout the property and you will find a study with perfect built-ins, a wet bar and an incredible fireplace with breathtaking onyx accents! The kitchen boasts new stainless steel appliances, enormous pantry, and striking black granite with gold flecking sure to please even the most discerning buyer. The tremendously oversized great room is perfect for those nights of large entertaining with impeccable views of the pool or cozy nights in with the family. When it s time to find rest do so in one of the 5 junior suites or the spacious master suite with its warm fireplace or incredibly elegant updated bathroom. Outside you will find entertaining and privacy a breeze with the mature landscape, shimmering pool, large grassy area, backyard bathroom and even a second kitchen located in the garage for your outdoor dining events. With a home like this, private gates, phenomenal views, and palatial sq footage opulence will be your new way of life!" 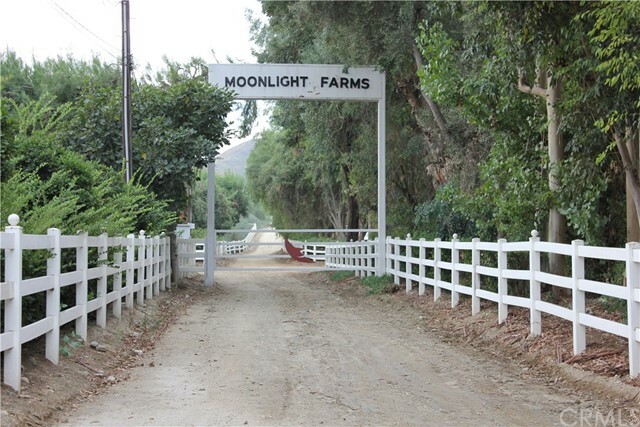 "Beautiful & well maintained ranch & horse training facility. This parcel has 2 dwellings; one with a 2 bedroom 2 bath main dwelling and the other with a 3 bedroom 1 bath assistant's quarters. The property offers a boarding facility with a main barn & attached feeder with outside turnout pins, virgin vinyl fencing, electric hot walker with 6 arms and a loafing shed. The parcel has 2 barns with approximately 24 holding pins. Rear yard to the 2 bedroom 2 bath is closed off by a newly painted snake fence. The 3 bedroom 1 bath has covered parking for 4 vehicles. There is a fish pond on the property near the lower pastures close to main entrance off of San Timoteo Canyon Road. 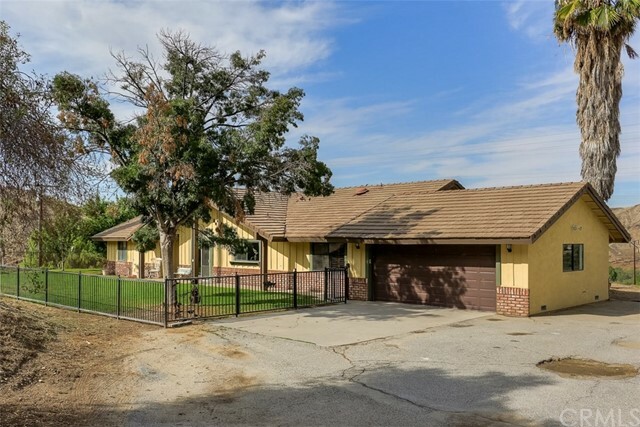 This property is located in the most southern portions of the City of Redlands just north of Moreno Valley within an unincorporated area of Riverside County. There is an amazing and well landscaped entrance at the main gate where there is a well that provide water to homes, horse hydration & irrigation areas. This parcel of approximately 50.99 acres is one of 2 parcels being sold together totaling approximately 63.03 acres for $2,600,000 that combines the adjacent parcel in which the other offers another primary dwelling with an attached mother-in-law unit (parcel Approx 12.04 acres). See MLS# OC16736205 for further details on both parcels. 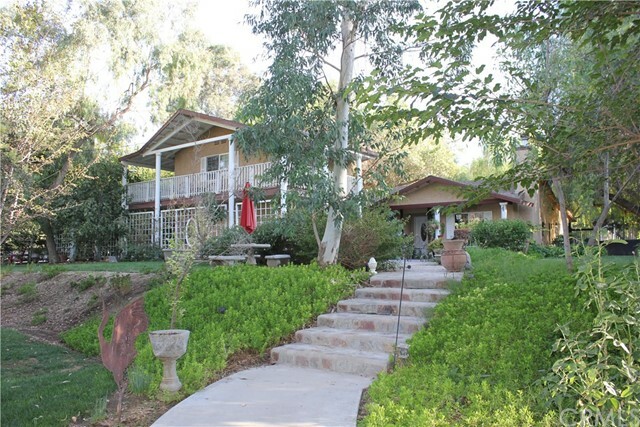 This picturesque and tranquil horse ranch is a must see to fully appreciate all that it offers!" "Quiet Country Road leads to Stunning Custom Home!! 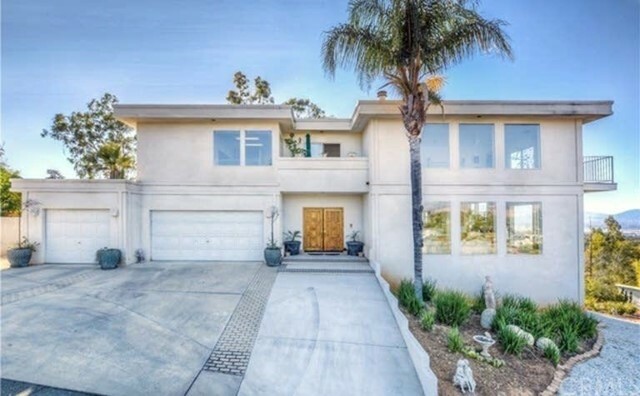 This immaculate home is an unusual find & provides a welcome retreat from the hustle & bustle of the world yet is close enough to downtown & easy access to freeways. Circular Drive leads to Dbl Door Entry opening to formal living & dining + den/study off entry + addl smaller study at rear under stairs; Elegant Sweeping Staircase off Entry + 1/2 Guest Bath; Downstairs ensuite bedroom doubles as 2nd Master Bedroom; Granite Island Kitchen incl. breakfast bar-vegetable sink work area & walk in pantry; Beautiful Builtins surround kitchen-family room-breakfast nook with back staircase. Master Suite incl. fireplace & balcony + views of surrounding hills; Master Suite with separate walk in shower & separate vanities; 2ndary bedrooms ensuite with own separate study/play areas + walk in closets; Upstairs Laundry room; 1/2 bath to pool & off 4-car fully finished garage; Addl Room off porte cochere separate from mainhouse; apprx 7.1 acres of flat usable land can accommodate horses, additional outbuildings or maybe an additional granny flat - buyer to check w/building; Formal and Informal living opens to covered patios and private inground swimming pool & spa; there is one picture attached with rough idea of boundary-lot size is 164 linear feet frontage x 1989 linear feet depth for a total of 7.48 acres flat with gentle upslope at the rear;enjoy walking & hiking trails + close proximity to Sundance Horse Ranch facilities"
"Million dollar 180 PANORAMIC VIEW of city lights and mountains is on the market! Lovely 5 bedroom, 5 bath CUSTOM built home nestled on a quiet cul-de-sac. Grand entry way features Italian tile with granite inlays, granite on the stairs and landing. Crown molding, custom hardwood flooring and newer carpet. There is a bedroom with private bathroom downstairs (2nd master suite), ideal for company/family. LOVELY kitchen with granite counters, an island, high-end appliances and large storage room nearby. The resort-like yard has a $200,000 custom pool/spa with waterfalls, water slide into the slope, and beach entrance. Bar/BBQ area with beautiful ceramic mural of Redlands, outside hot/cold shower, plumbed gas fire features around the pool and slate seating around the gas fire pit for gathering and eating smores. The luxurious Master suite has a walk-in closet, large jet tub for 2, and a custom shower with 4 shower heads and bench seating. Other features include double sinks, built-in armoire, recessed speakers for TV sound, and 2 way fireplace. Off the master is a deck with views of the city lights plus views from every window including the tub. Home automation system from your smart phone controls lights, heating, and air-conditioning. Camrose on/off alarm, lock and unlock front door and control lighting and alarm. Smoke detectors have glass break detector and CO2 detectors. $30,000 SOLAR will be paid off - plus 4 car garage (built 2 double garages)- so come and fall in love!" 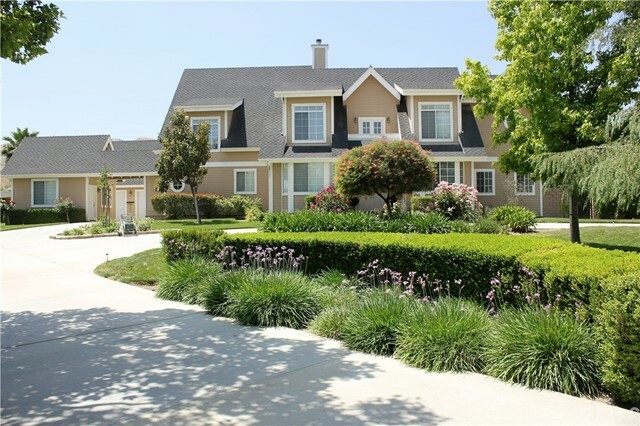 "A lovely, executive home in one of the best locations of South Redlands on a 18,400 Sq.Ft. cul-de-sac lot is now available! Gorgeous entrance with side office/library with built-in wood bookcases. The open formal living room has a granite tiled fireplace, plush carpet, and flows into the dining room. The spacious kitchen has a large granite-topped island, wine fridge, walk-in pantry, double oven, and built-in refrigerator. Amazing Brazilian Cherry hardwood floors flow from the kitchen into the family room. Additional built-in book shelves, another fireplace, and spacious windows adds to the family room. There is a 2nd master suite /guest room downstairs with its own bathroom and is near the laundry room with sink. With TWO staircases to access the additional 4 bedrooms upstairs - each having access to their own private or a Jack-and-Jill bathroom. The over-sized Master suite is AMAZING with its own private office with views of the mountains and valleys. The Master bathroom has double sinks, separate shower, bathtub and a HUGE master closet with built-in organizers and drawers. The resort style backyard features a full covered patio, built-in BBQ, newly Pebble Tec pool and spa with waterfall feature. Don't miss the gas fire-pit in back with additional views and the basketball court! Other features include, three car garage, tile roof, recessed lighting, crown molding and custom window coverings. This home is truly amazing and must be seen to appreciate all the fine features." "Don t miss this opportunity to own your slice of paradise in heaven. Nested at the top of the hill in south redlands with an amazing 270 degree view of the inland Empire and the snow covered mountains. Fantastic city lights views.When you are inside the house you think that you are in Rome with columns, dome entry and exquisite finishes like crown moldings and Versace designed rails indoors and outdoors.When you move outside you think you are in Hawaii with amazing beach entry pool surrounded by rocks and six waterfalls, colored concrete surrounded by rock stamping.The landscaping is lush with a multitude of different palm trees. It is resort living every day. solar system in the backyard. there is a pad big enough to build a 3 bedroom secluded guest house with amazing views that can be rented in AIRBNB. There are 4 bedrooms, each with its own bath. Master bedroom is spacious, with a balcony and tub overlooking the amazing view. Situated off the kitchen is a wet bar. There are 4 sitting areas, a living room, 2 family rooms and a room with multitude of glass overlooking the swimming pool, great for entertainment. The house is filled with light beaming in through banks of windows and walls of glass. The floors are marble and the bedroom floors are wood. All the bathrooms and kitchen countertops are granite. There is a fully functional intercom throughout the house. The house is fully wired with fiber optic, cat5 and speakers. There is a basket court. Willing to carry"
"Welcome home to this gorgeous unique custom built home situated in the prestigious gated community of Smiley Ridge.This home is boasting amenities & upgrades.As you enter you will be greeted by a beautiful tranquil fountain that leads up to the European-style double door entry.Now as you make your way through the grand foyer you will notice many beautiful custom beveled windows and the gleaming hardwood flooring.The step down formal living room w/ a beautiful stone fireplace.The eating areas are formal dining,huge kitchen bar counter and breakfast nook that overlooks the pool and spa.The gourmet kitchen offers custom counter tops and back splash along w/ large pantry,many cabinets and SS appliances.Also on main level is the master suite with walk-in closets, big bath w/ jacuzzi style tub,sep shower and access to backyard and courtyard. Laundry room .5 bath and office could be used as sep guest quarters w/ sep entry.Now lets walk up the beautiful spiral staircase that leads up to the 2nd level that offers a great room, 2 bedrooms and 2 full baths w/ access to a spectacular wrap around balcony overlooking the stunning views of the canyon,hills and orchards.On the 3rd level is a loft and a turret-style room 1 of 3 on all levels offering breath taking views.The Long driveway leading up to the garage that has a sep studio apt above w/ bedroom, kitchenette and FA heating that rents currently for $1000.00. So much more to offer. Make this home a must see!!!" "Beautiful & Picturesque home, ranch & horse training facility with 3/8 mile horse racing track. Grounds consists of 1 parcel totaling approx. 12 acres. Property has a 3 bedroom 2 bath main dwelling with a 1 bed 1 bath attached mother-in-law quarters. The race track with the 3 horse starting gate is located to the rear of the parcel with a beautiful picturesque pond. The adjacent parcel, 28741 San Timoteo Canyon Road also in Redlands, is a horse break-in and boarding facility with a main barn & attached feeder with outside turn out pins with virgin vinyl fencing, electric hot walker with 6 arms and a loafing shed; This adjacent parcel of approximately 50.99 acres is one of 2 parcels being sold together with this listing totaling approximately 63.03 acres for $2,600,000 that combines the adjacent parcel. See MLS# OC16736205 for further details on both parcels. 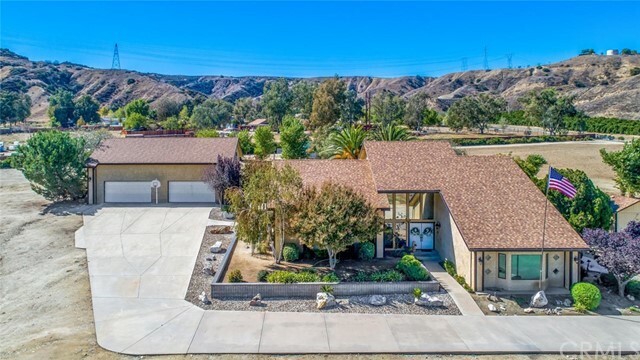 The property is located in the most southern portions of the City of Redlands just north of Moreno Valley within an unincorporated area of Riverside County. The main home to the parcel has an amazing and well landscaped entrance with a water feature, paved cement reception area and a detached 3 car garage. The wells provide water to homes, horse hydration & irrigation areas. This picturesque and tranquil home & horse ranch is a must see to fully appreciate all it offers!" 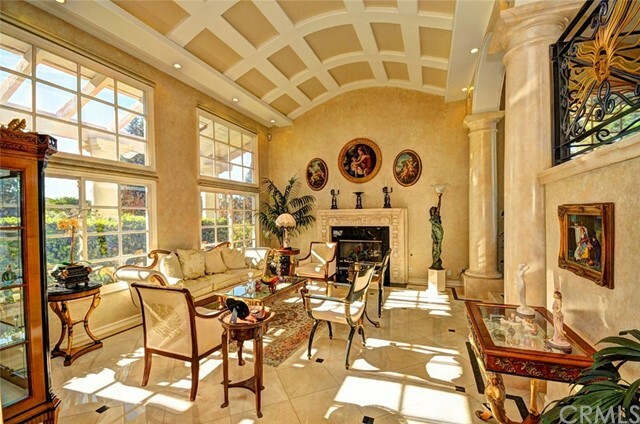 "This exquisite custom built home exudes luxury, quality and splendor. Featured in the Redlands Home Tour in 2016, this private and prestige single-story home is an entertainer's dream! Located in the prime South Side, every detail to this 3,800 square foot home has been tastefully reimagined for today's modern and luxury lifestyle. Upon entering, you will notice the beautiful cement and brick designed private driveway, as well as the stunning landscaping. The peaceful sound of the beautiful fountain creates the perfect setting and warmth to greet guests upon entrance. As you enter through the elegant leaded glass custom front door, the bright and spacious open floor-plan will have you in awe! Professionally designed and detailed with top of the line modern upgrades throughout. From the beautiful tile flooring and crown molding throughout, to an impeccable chef's kitchen with top of the line appliances, a spacious island with luxury granite counter tops, a large pantry and breakfast nook. The spacious master bedroom features large walk-in closet, 2 sinks, a spa tub plus a shower, & sliding glass doors to the backyard. This home includes a guest suite & bathroom with a shower and bathtub, and another spacious bedroom next to the hallway bathroom with a large shower and access to the backyard after swimming in the refreshing pool. This resort- inspired backyard features an outdoor kitchen built with impeccable craftsmanship and quality you must see to believe!" "Hilltop Home HUGE PRICE DROP!! WHAT AN AMAZING VALUE!!!! 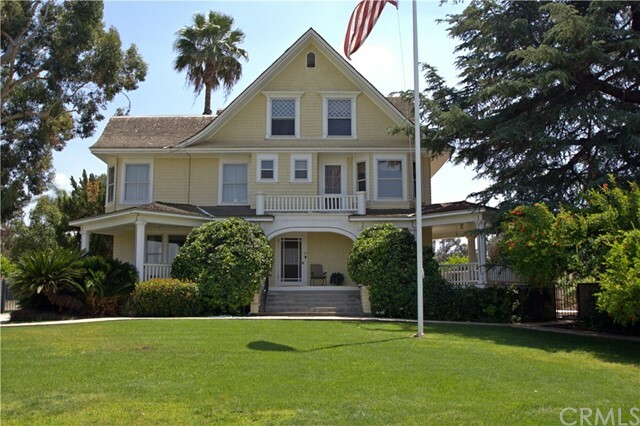 This amazing heritage home was built by Charles E. Gill in 1900 where he lived until 1926. In 1968, Mr. & Mrs. Larson purchased the residence and saved this piece of history from being torn down and began the hard work of turning this home back into the Victorian beauty where they lived and raised their family for 50 years. This lovely three-story home features beautiful Redwood accents, two charming fireplace's, and a built in China cabinet with leaded glass doors. The home also still adorns the original door knobs, casings and pocket doors. All bedrooms offer bay windows with fabulous views of city lights and majestic mountains. The light and bright kitchen offers a breakfast room, butler's pantry and walk-in pantry. The home also includes a 800 sq. ft. basement, beautiful lush landscaping, sparkling pool with safety cover that opens to a shade structure and lots of privacy. This is a special home meant for a special buyer!" 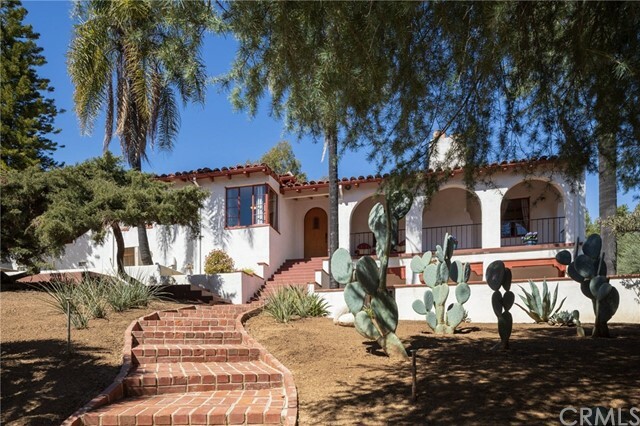 "Welcome home to this stunning South Redlands Spanish Colonial estate built in 1940 featuring all the amenities even the most discerning buyers are looking for! Immediately upon arriving at this estate you are captivated by the gorgeous exterior and lush landscape creating a world of its own. Step inside and enjoy serene views from every window, gas fireplaces, custom beamed ceilings, striking built ins, completely updated electrical and so much more! The kitchen has been fully remodeled with elegant cabinetry, white quartz countertops, exquisite Spanish tile flooring and stainless steel appliances. Large formal dining and living rooms create the perfect entertaining spaces for those large gatherings or intimate nights alone. Find rest in your master bedroom with its private bath and French door leading to its own courtyard, or enjoy one of the additional 3 bedrooms all with direct bathroom access and walk in closets, lower level room even features it s own darkroom. Head out to your park like property of 1.25 acres and enjoy the sparkling pool while relaxing under the large covered patio with its own impressive fireplace, built in BBQ, bathroom, and separate his/her changing rooms. With a home and views like this you will feel like you re always on vacation!" "Horse Property, Business Property, Multi Family Property. 5 Useable Acres. Beautiful meticulously maintained home with beautiful granite kitchen and pantry w/extra fridge, freezer & wine fridge, Porcelain tile flooring, Solid oak cabinets, Huge living rm w/2 sliders, Bath 1 has Blue Bahia granite counters, 1st Master suite downstairs w/tile flooring and ceiling fans & full closets, Huge office area w/separate entrance, 2nd Master suite upstairs w/dbl door entry w/2 walk-in closets & a full wall closet, ceiling fans throughout, master bathroom w/Roman tub & shower enclosure. 4 bedrooms and 3 baths and a Sunrise deck East, a Sunset deck West. 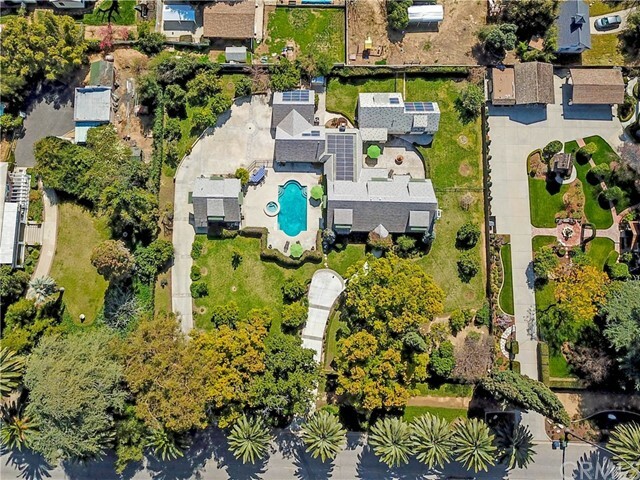 A private 26' + gated entry w/800' of 6 reinforced concrete driveway to a detached oversize 4 space garage and a UPS/FED-EX locked receiving area. 50+fruit trees. Lighted horseshoe pit, Lighted gazebo, Canary Island Palms, Rock fountain, a Hobby Room w/ HO train layout. This property is truly exceptional and has to be seen to project the quality of workmanship and detail." "Historic Heritage Award Winner! Restored and kept to period. Step into this beautiful Crafstman home, originally built in the early 1900 s for Daniel N Findlay by W.T. Furguson. As you enter the home you are greeted by original quarter sawn oak hardwood floors that have been well maintained. The living room has a gorgeous Mill Creek Stone Fireplace, exposed wooden beams and plenty of natural lighting. The office features it s own fireplace, a large picture window plus separate entrance. Original doors and windows add to the beauty and uniqueness of this spectacular home. The kitchen was completely restored and rehabilitated with an additional bakers kitchen. The Soapstone sink and counters were sustainably mined in Brazil. Cabinets replaced to match period, including a hidden dishwasher. Flooring is Forbo Marmoleum made identically to match original linoleum. 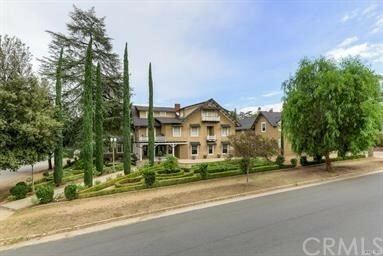 Upstairs features the 5 bedrooms, updated bathroom with new cast iron claw foot tub and balcony overlooking the grounds and mountain views. The exterior grounds offer a large lot with the original pond which was excavated, 2 grand pavilions/possible RV parking, fenced pool, above ground spa, wrap around deck with pool table, fruit trees, garden beds and custom stonework. Expanded gardens, 70+ trees on historic Washington Navel orchard with many exotic fruits. Central heat and air, new roof, resurfaced pool, new electrical, new plumbing, studio/carriage house + 2 car garage. This architectural masterpiece is a must see!"